EK-FB GA AX370 Gaming RGB Monoblock is a complete all-in-one (CPU and motherboard) liquid cooling solution for several GIGABYTE® X370 based motherboards. The monoblock is equipped with a 4-pin RGB LED strip and it offers unparallel aesthetics alongside with superior performance! 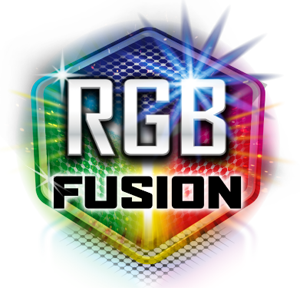 The RGB LED in the monoblock is compatible with GIGABYTE® RGB Fusion, thus offering a full lighting customization experience! Designed and engineered in cooperation with GIGABYTE®, this monoblock uses award-winning EK-Supremacy EVO cooling engine to ensure best possible CPU cooling. 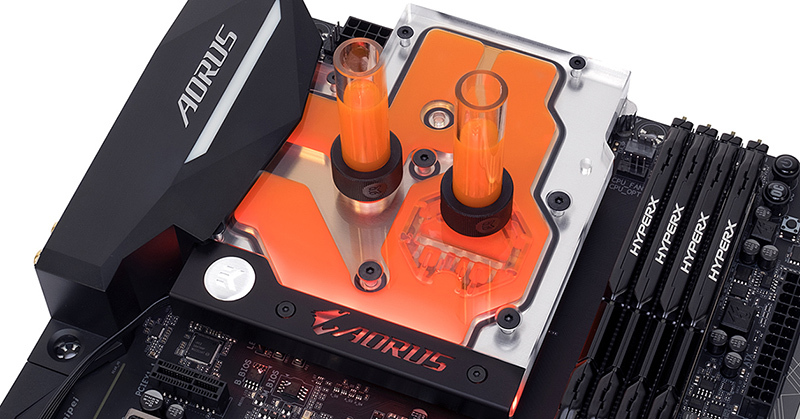 This water block directly cools AMD® AM4 socket type CPU, as well as the power regulation (MOSFET) module of the motherboard. Liquid flows directly over all critical areas, providing the enthusiasts with a great solution for high and stable overclocks. Like with every EK monoblock, The EK-FB GA AX370 Gaming RGB Monoblock features high flow design and this monoblock can be easily used with the system using a weaker water pump as well. TO PREVENT DAMAGE TO YOUR WATER BLOCK, YOUR COOLANT MUST CONTAIN ANTICORROSIVES AND BIOCIDES! EK RECOMMENDS USE OF EK CRYOFUEL COOLANTS. Fittings are not included! Two fittings are required for proper operation. Due to the immense variety of fittings/barbs available on market and no prescribed standards, we guarantee compatibility only for connectors bought from our website. The stock I/O cover is compatible with this EK monoblock. The built-in 4-pin LED strip is compatible with any 12V LED RGB controller.